Busybox was not found.Would you like me to install it? Root files have been in install. would you like run a test? An 'su' command will now be send to your phone. 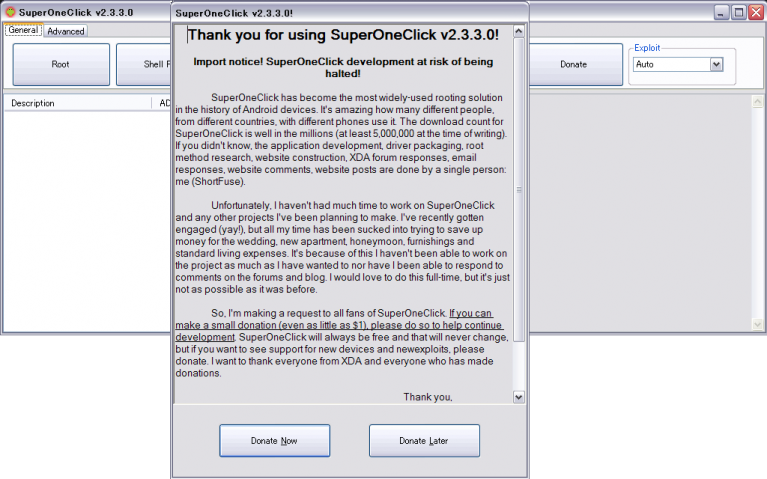 You might have to select Allow in Superuser. Your device has been rooted! Would you like to donate now? Copyright © 👑 All Rights Reserved.